Students dance at the Harvest Ball in the mini gym on Nov 2. “There was more effort into planning it, so it's gonna be better,” Patel stated in the days leading up to the dance. Increased organisation and planning of the dance this year likely increased attendance at the event. The beginning of a new school year is so much more than just a bitter end to summer. It brings new classes, new friends, and at most schools, a highly anticipated (and well-funded) homecoming dance. Hollis Brookline High School, however, is a glaring exception. In fact, the traditional homecoming dance was replaced with another event due to scheduling issues this year: the Harvest Ball. Will the students of HBHS embrace or reject the homecoming spirit that student council is trying to revive? In the past, participation at HB’s Homecoming dance has been limited. The complete rebranding of homecoming this year will bring in new faces and draw attention to the dance. “Bringing something new might generate excitement. We have more time [to plan], so it’s going to be better,” said Student Body President Khushi Patel ‘19. There is no doubt that homecoming at HBHS contrasts harshly to homecoming to those at larger schools, and more specifically those in southern states. Kyra Belden ‘19, a student who attended Clearwater Central Catholic High School in Florida during her junior year, experienced the differences between homecoming at HB and those of southern schools. “For [students at Clearwater Central], they had homecoming week leading up to it and everyone in the school got really into it. They picked homecoming king and queen, they had corsages and boutineers and they had a football game that everyone went to,” Belden stated. Although she transferred to Florida after Homecoming had occured, Belden was still very aware of the talk and excitement surrounding it, which attests to the prominence of the event. At HB, there is no homecoming king or queen, no corsages or packed football game. If it weren’t for the flyers scattered along the hallway walls, one might not even know homecoming was occurring. This lack of anticipation and excitement has been a major downfall of homecoming in the past, according to Patel. During her sophomore year, “a lot of kids came in [to the dance] for ten minutes and then left. The efforts of whatever class that planned [homecoming] went to waste,” said Patel. Leading up to homecoming, many students complain about the lackluster homecoming in years past and are quick to compare it with the booming homecomings of the south. However, if students are not actively participating in the dance, they are not helping the cause. Sure, it is the right of the students to decide whether or not they want to attend student-organized events, but students will only be able to make a change by showing up to the dance and creating a demand to be met by student council. If only 40 students attend, it should not come as a surprise that the funding for the following year is limited. Perhaps the reason for this lack of enthusiasm is something laying under the surface of HBHS. When attending HB homecoming during her sophomore year, most of the students there were underclassmen, explains Belden. For upperclassmen, “there’s a vibe that you’re weird if you do anything associated with the school,” she stated. HB’s stigma surrounding school activities and specifically homecoming seems to be unique to HBHS. In general, “Homecoming is a staple at high schools, no matter how it’s celebrated,” says Carolyn Twersky, a writer for Seventeen. This strange phenomena is yet another reason why the Harvest Ball had so much potential. If there was such an atmosphere surrounding HB’s traditional homecoming, perhaps a rebranded Harvest Ball would cut ties with such stigmas. 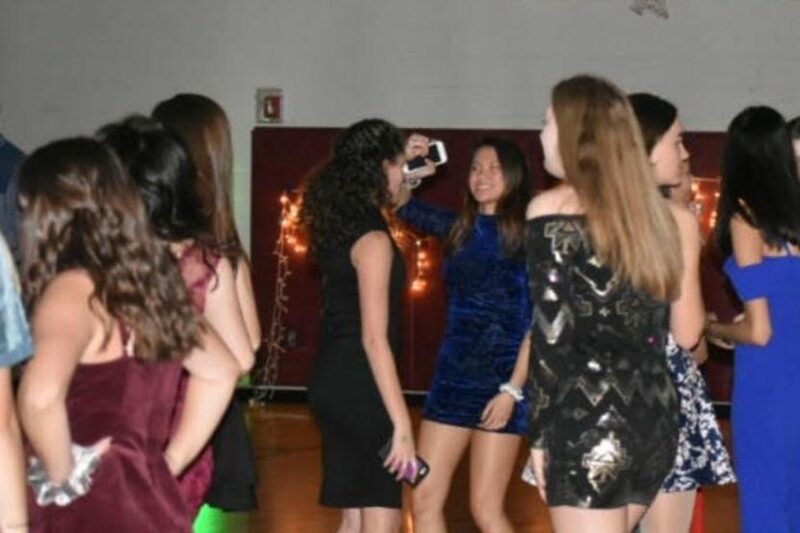 The Harvest Ball took place on Friday, Nov 2 at 7:00pm in the mini gym. To the surprise of student council and students alike, the turnout was a success. More students showed up in support of the Harvest Ball than during the Homecoming dance in previous years. The new Homecoming had potential to renew the spark of Homecoming and it proved successful. Clearly, bringing change to Homecoming each year is the key to keeping students involved and excited about the event.